Yes World, meet Lucrezia, the next big thing after the Antigona. LV Speedy, Gucci "Boston", Burberry "Barrel"
The Lucrezia wins hands down in my opinion as it has a sleek "let the design speak for it self" simplicity with details in emphasized corners and double ridge details from front to back. Packed with more attitude and class than the aforementioned, this is definitely a bag to look out for in the coming season. what a lovely bag and with a name like that! Nice bag...I love that yellow tee on the actress too.. Totally in love with amanda, and now with lucrezia..
she is def working it!!! Givenchy is really class !! Take a look at www.bally.com Swiss brand really cool !! 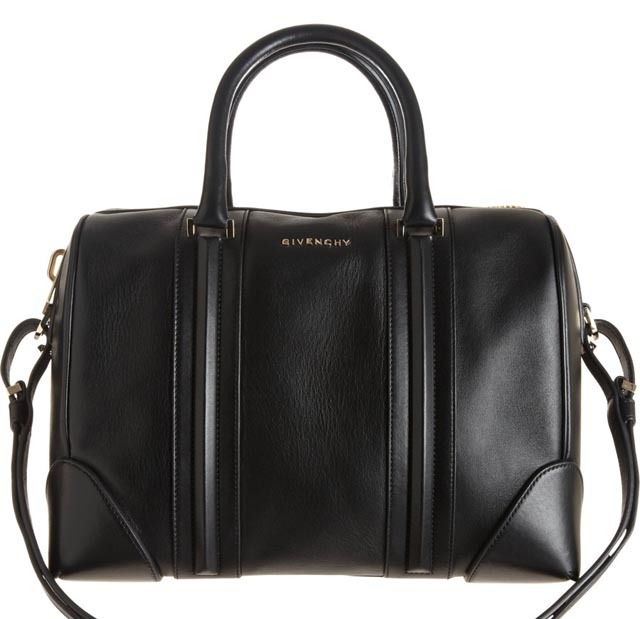 Love the Givenchy bag, so fab! torrent payday the heist-portable download game baru.